While FRELIMO came to power its official political policies remained vague, but were based in progressive ideas such as building a unified nation based on racial equality, universal literacy, and the empowerment of women. In the months preceding independence, FRELIMO consolidated its presence in the south and in urban areas. This was done through the work of militant groups (grupos dinamizadores or "dynamic groups"), which also included Mozambicans of Portuguese origin. The period prior to independence was also marked by the settling of scores and public trials against members FRELIMO who had strayed from the FRELIMO party line. 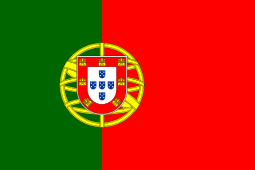 "Traitors", "reactionaries", and real or suspected agents of the American Central Intelligence Agency or PIDE, the Portuguese security agency. 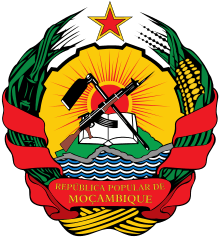 The Central Committee of FRELIMO adopted the constitution of the People's Republic of Mozambique on June 20, which established that power belongs to the workers and peasants "united and led by FRELIMO and by the organs of people's power". The country's independence was officially proclaimed five days later. Under the new system, FRELIMO was officially the "leading force of the state and society", the President was automatically president of the Republic, President of the People's Assembly, and, until in 1986, head of government. 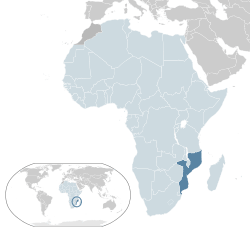 Mozambique had a planned economy. The state recognized private property, but stated that it "cannot be used against the interests defined the constitution." 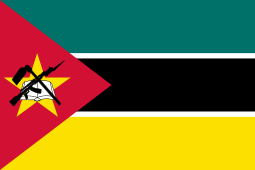 The territory was divided into provinces headed by governors appointed by the president and governed "in accordance with FRELIMO and the government." The governors had authority over the district administrators and local administrators. The first months of the presidency of Samora Machel were marked by a series of radical measures: land, education and health were nationalized; three radio stations were abolished and replaced by a national state radio; and the press fell under the control of the government and the party. The independent state continued FRELIMO's policy of alliance with communist countries, which it considered its "natural allies". In October 1975, FRELIMO created the Servicion Segurança Nacional Popular (SNASP, or National Service of Popular Security) a secretive political police force with the responsibility to "suppress all activities hostile to the revolution." The Stasi, the secret service of the German Democratic Republic, provided SNASP training. Priestland, David (2009). The Red Flag: a History of Communism. New York: Grove Press. ISBN 9780802145123.